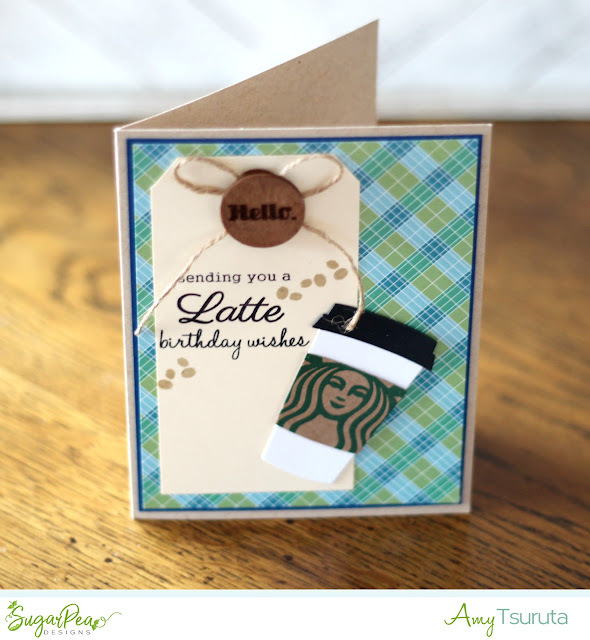 a2z scrapbooking | coffee loving cardmakers - collaboration blog hop! Pattern Happy + Ellen Hutson LLC Blog Hop HERE. 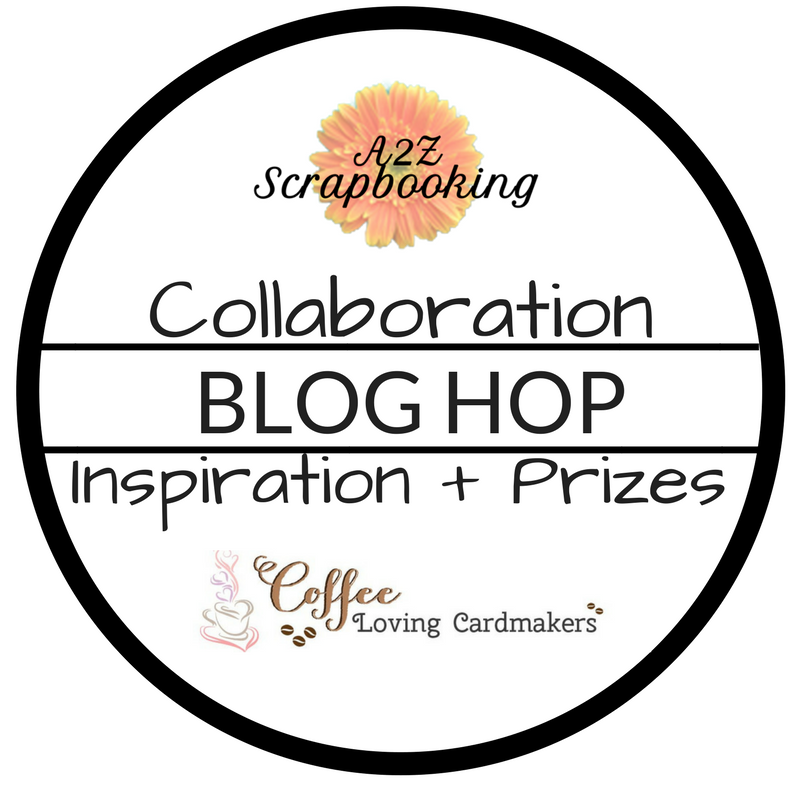 Welcome to the a2z Scrapbooking + Coffee Loving Cardmakers Collaboration Blog Hop! You should have arrived here from the Coffee Loving Cardmakers blog. 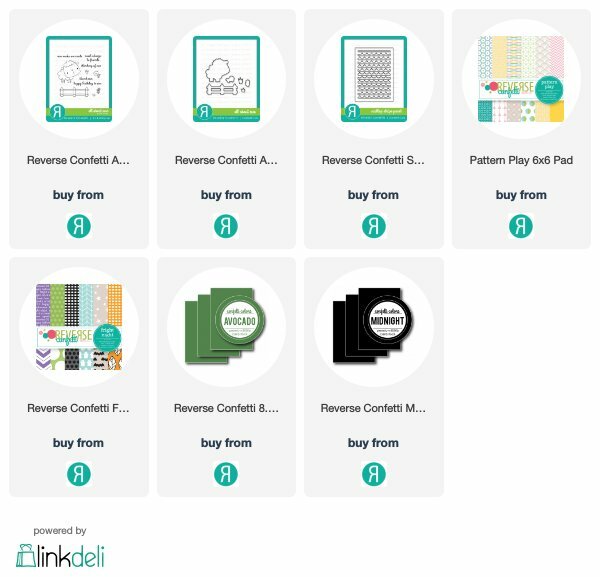 If not, you'll want to start at the beginning of the hop which is the a2z Scrapbooking Supplies Blog! 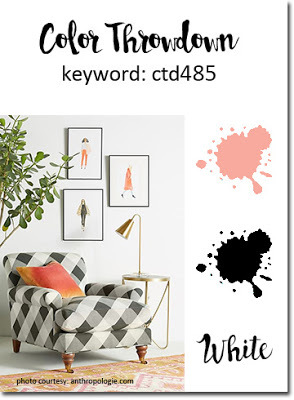 You should leave comments along the way for a chance to win! Prizes: a2z Scrapbooking Hug In a Mug + Winner's Choice: Digital Set. Commenting closes on Thursday, April 5 at 11:55 pm with the winners announced on Saturday, April 7th. 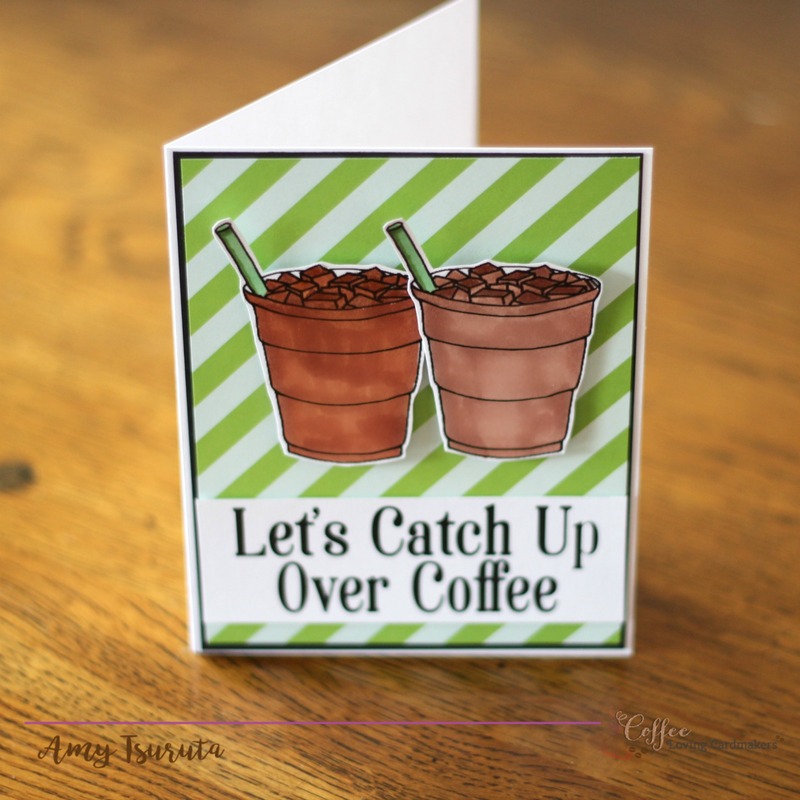 I have two projects to share with you that I made especially for today's fun hop! 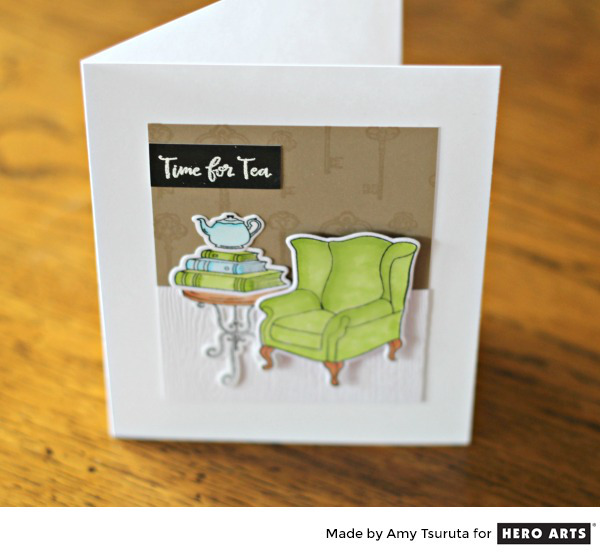 My first one features the Hero Arts CM235 Mouse Tea Party set. I think this is one of the cutest sets that was released in the Hero Arts 2018 Catalog! My card also features the Hero Arts DI411 Butterfly Confetti Fancy Die. At the time that I'm writing my post, there is one left in the shop! 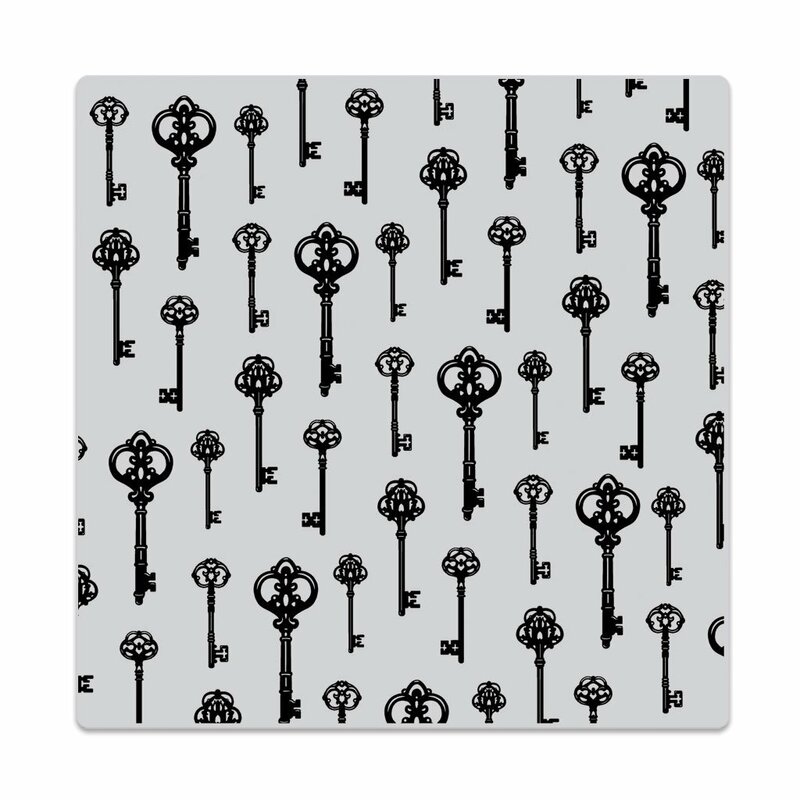 This die is wonderful and works great with the dryer sheet method. 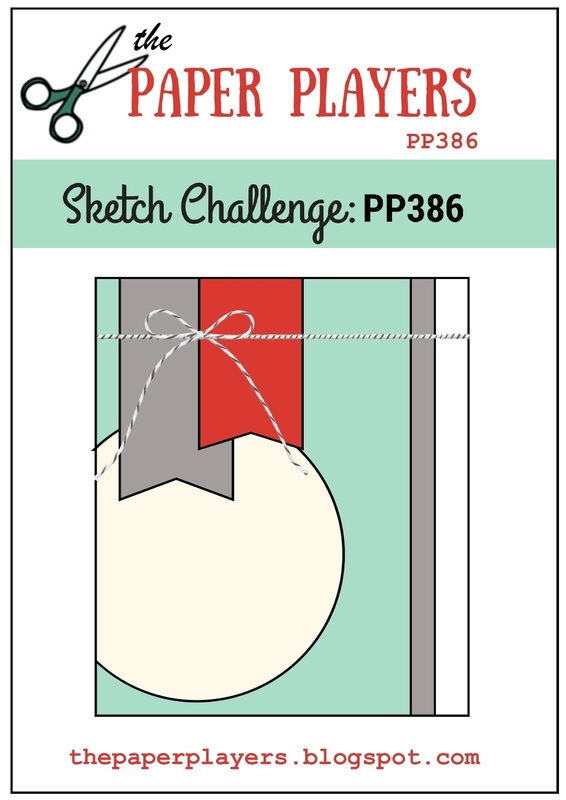 TIP: layer die, paper + then dryer sheet folded in half. The bits will stick to the dryer sheet and minimize the crafty mess! The images have been stamped with Hero Arts Intense Black and colored with alcohol markers. 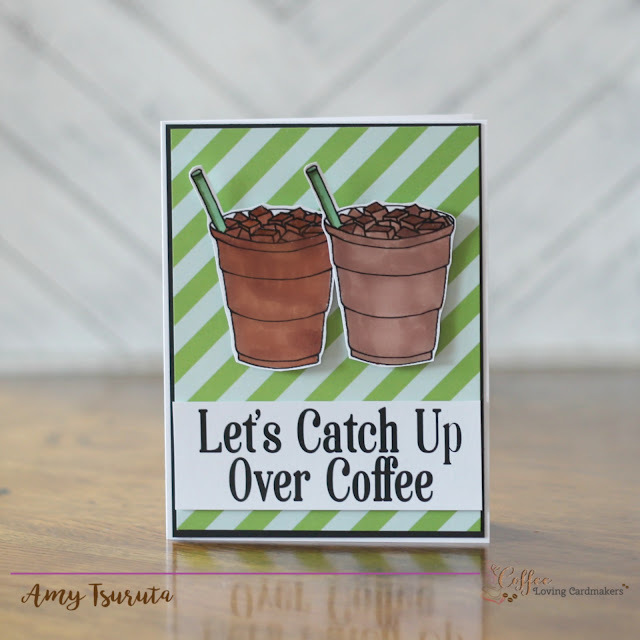 My other card features the a2z Scrapbooking Hug In a Mug digital set. I printed the iced coffees twice and made the sentiment really large. I colored the images with alcohol markers. You can't really tell from the photos but I did fill some of the ice cubes with glossy accents. Next up is the spectacular Kerry Urbatch! 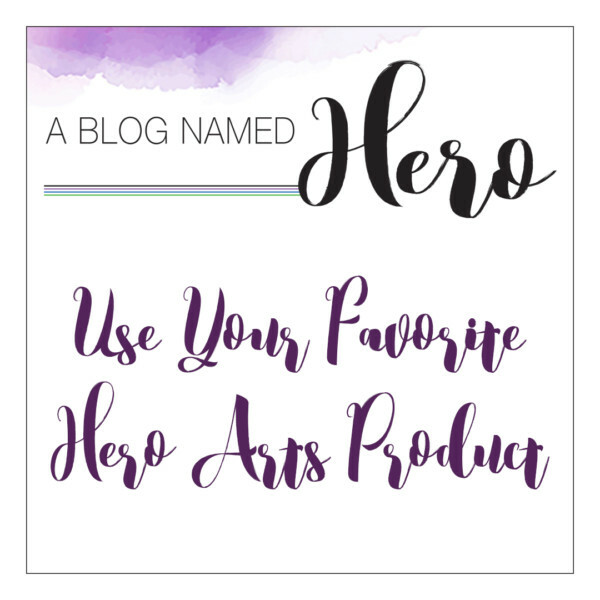 Hero Arts April My Monthly Hero Countdown to Creativity! 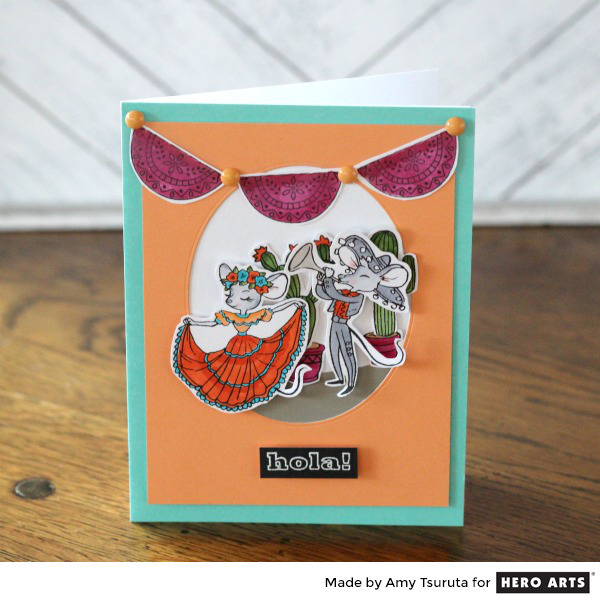 I'm up on the Hero Arts blog sharing a card that features images from the April My Monthly Hero kit! Remember to leave comments on any/all of the Countdown to Creativity posts over on the Hero Arts blog for a chance to win! 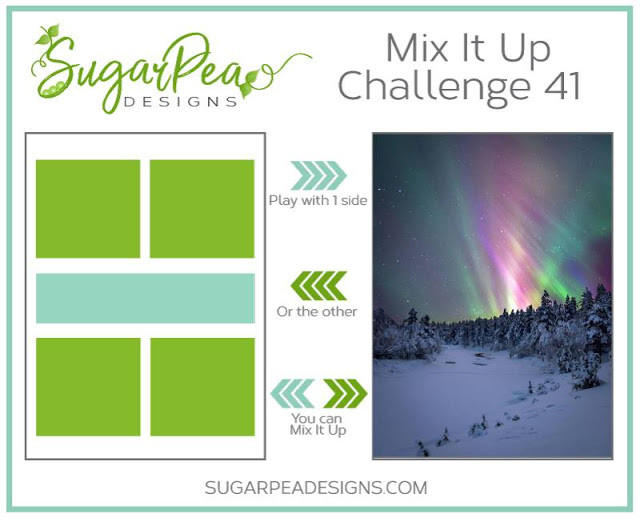 Hello and welcome to the SugarPea Designs 4th Birthday Bash Blog Hop! You should have arrived here from my fabulous teamie, Amy Rohl. 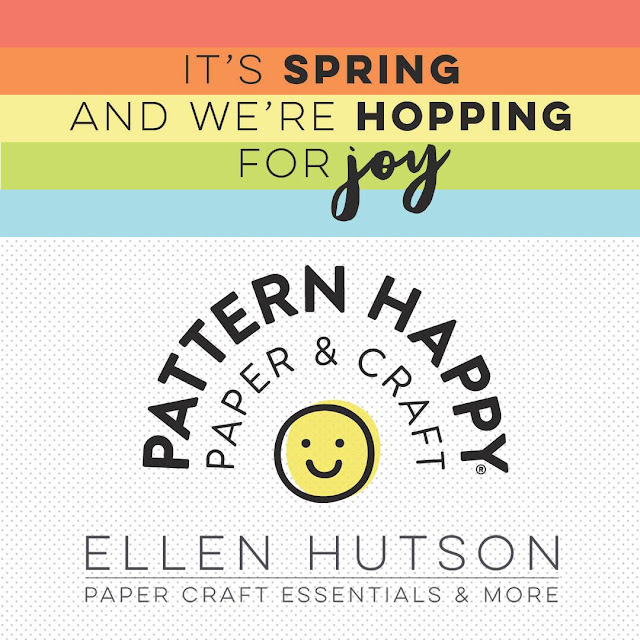 If not, you'll want to start at the beginning of the hop which is the SugarPea Designs Blog! 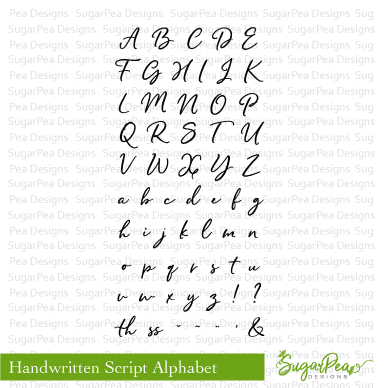 To celebrate, SugarPea Designs is offering a coupon code: BDAY04 for customers to receive 15% off their entire purchase AND you’ll receive a Handwritten Script Alphabet stamp set – FREE!! This 4×8 stamp set is an exclusive and limited edition stamp set that will only be available during our Birthday Bash Celebration (valid until April 7th 11:59 EST). 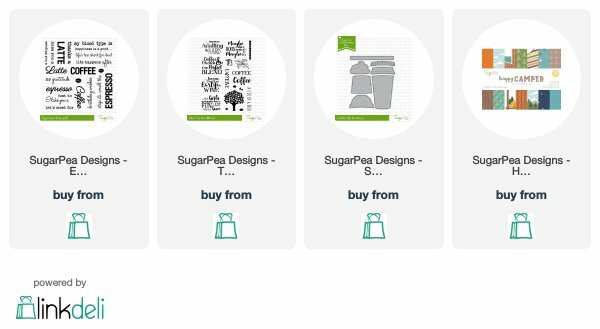 SugarPea Designs will be giving away (4) FOUR $40 Gift Certificates to the SugarPea Designs Shop! Winners will be randomly chosen from all the comments left along each stop of the hop. 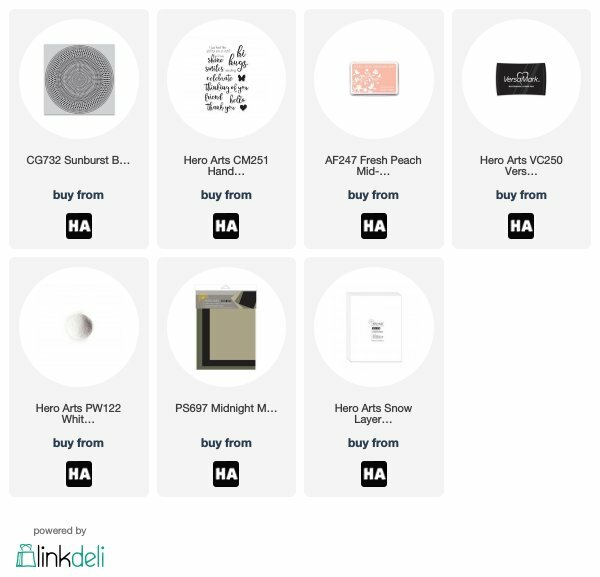 Comments will close on April 7th 11:59 pm eastern with winners announced on April 8th. Let's start from the bottom and work our way up! I used a panel from the Happy Camper Patterned Paper Collection. I'm #madforplaid, how about you? The tag has been stamped 3 different stamps from the Espresso Yourself to created the stacked sentiment. The coffee beans are from The Perfect Blend set. Love the Coffee To Go Cup - SugarCut! I upcycled a Starbucks coffee sleeve for my to go cup's sleeve. 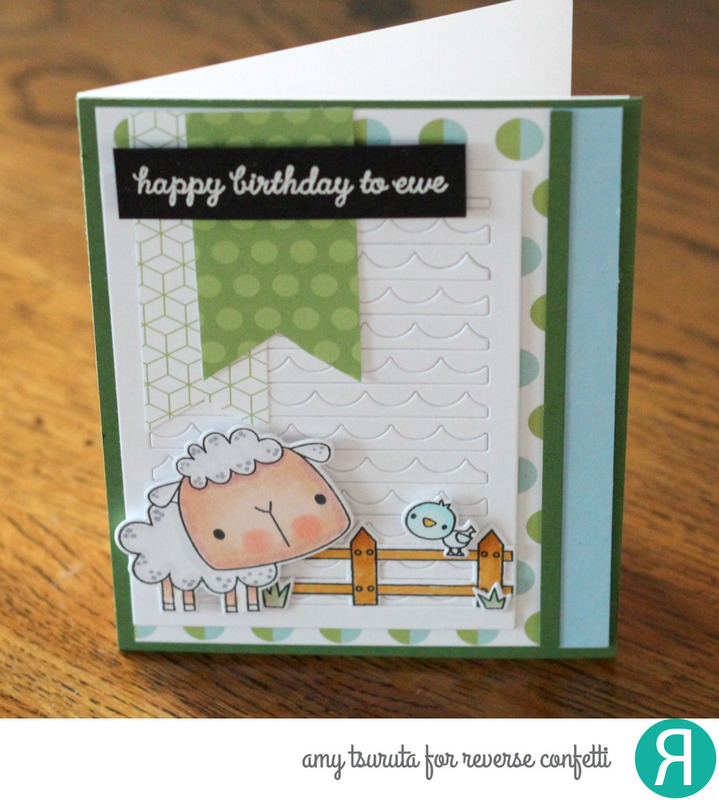 I can't wait to hop around and check out all the wonderful birthday inspiration! A big shout out to Wendy for giving me this awesome opportunity to be a part of the FABulous SugarPea Designs Team! Next up is the amazing Ardyth Percy-Robb! 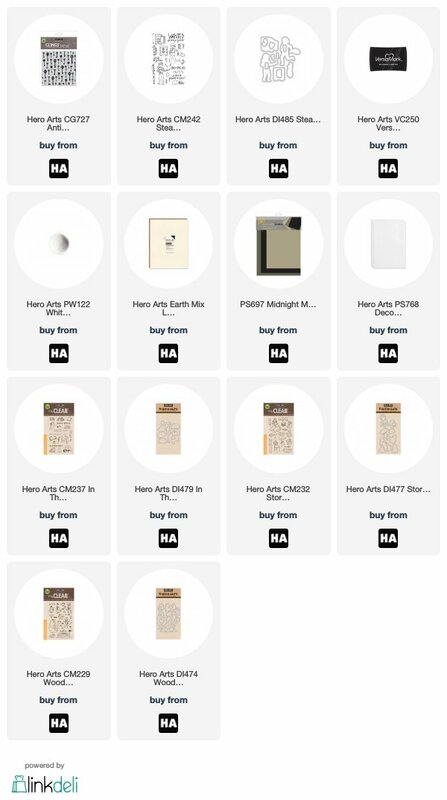 In case you get lost along the way, here's the entire hop listing. Remember to leave comments along the way for a chance to WIN! 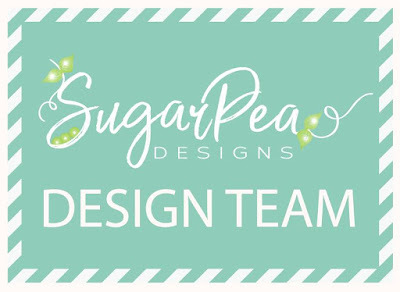 Please pop over to the SugarPea Designs blog for all the details! 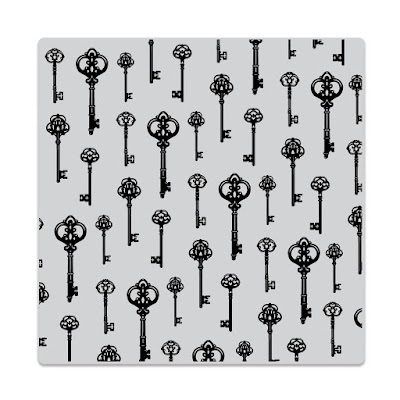 I heat embossed the Antique Keys Bold Prints on a panel from the Midnight Mixed Layering Paper pack in white. 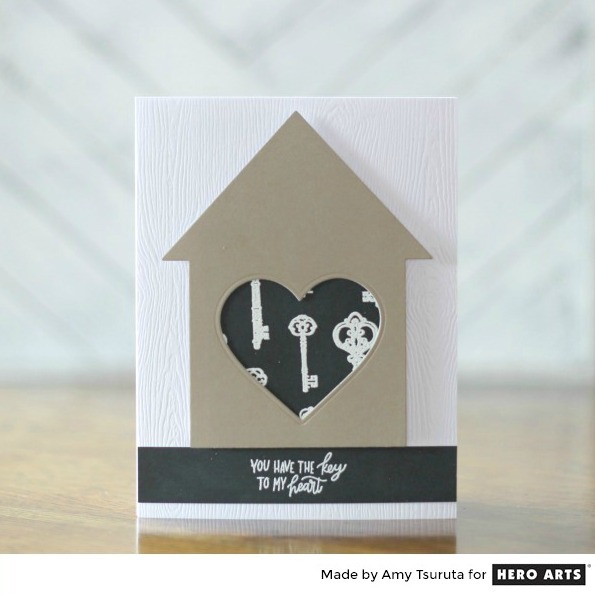 I placed an Earth Mixed Layering Paper panel that I cut a house from via the DI463 Nesting House Infinity Dies. I couldn't resist using the Nesting Hearts Infinity Dies in the center. 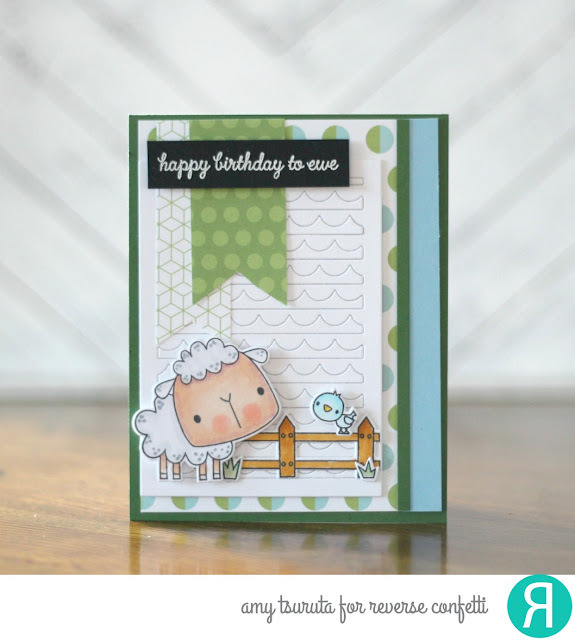 The sentiment is from the CN242 Stealing My Heart set...I LOVE that stamp set! Everything is nestled onto a PS768 Decorative Woodgrain Cardstock panel...just check out all of that texture. Hello + Happy Monday! Did you have a great weekend? I did but it always go by so quickly, doesn't it? 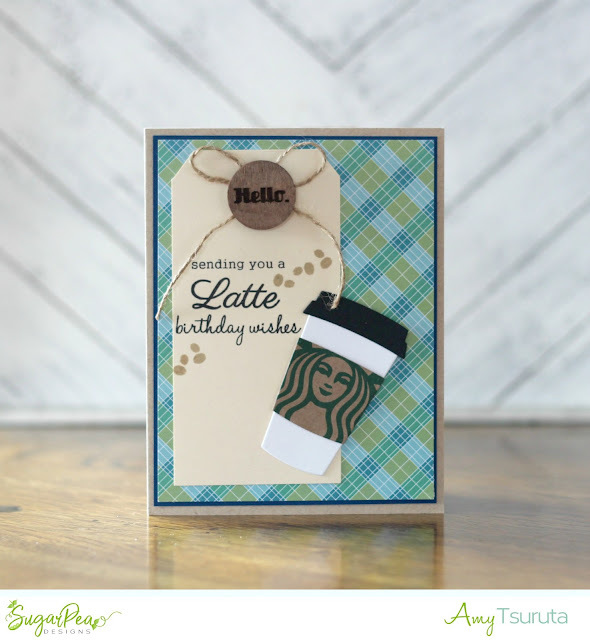 I have a fun card using Reverse Confetti products. The All About Ewe set is so cute, isn't it?! Let's start from the bottom and work our way up. 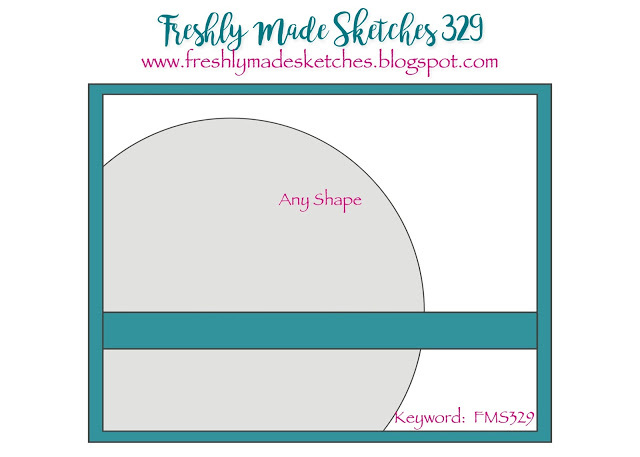 I used an Avocado card base that I layered a panel from the Pattern Play 6x6 and Baby Blue cardstock. The Scallop Stripe Panel makes a great palette to layer all my stamped images on. Generally I make her floral designs but decided to go abit more graphic. I write on a sticky note on the inside so that she can regift the card. I combined the Hero Arts CG732 Sunburst Bold Prints with the CM251 Hand Drawn Everyday Messages. I LOVE Hero Arts stamps!